Créatividée Founder and mom of ten, Pearl Silberman, was on the hunt for a fun, one-on-one project to do with her daughter. Pearl popped into a bead store and was completely overwhelmed by the endless choices, and knew her daughter would be too. 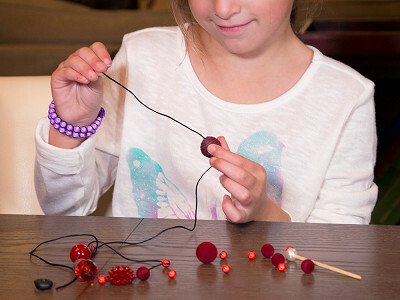 So, she created jewelry making kits for kids that are easy to manage and fun to do. 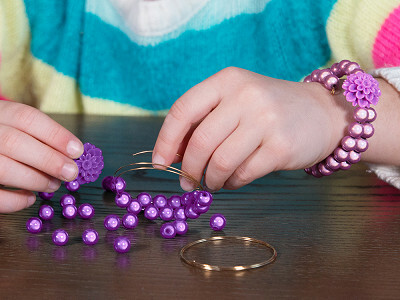 The kits cover a variety of age ranges, and Pearl made sure everything was included—from the wire, to the beads, to the pliers. She even added gift boxes so kids can give a finished product as a gift. 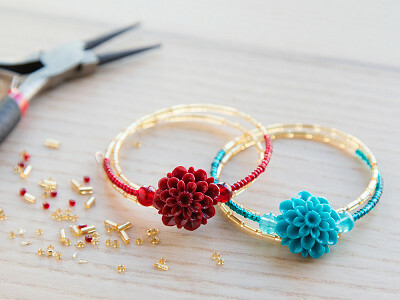 The kits are a great introduction to jewelry making, or just a fun parent-child activity. Kids will be happily engaged—even if for just a rainy afternoon—and thrilled to wear their own handcrafted accessories. Hello, I'm Pearl Silberman, founder of Creatividee. I am very excited that the Grommet chose to introduce Mademoiselle Idee to all of you. "She," is a revolutionary line of high-end craft kits that empower girls of all ages to handcraft their very own boutique-quality pieces of jewelry. I believe in your talent, look forward to your comments, and can't wait to answer all your questions.